« The ‘Take’ On New England’s New Culture – Brought To You By A Magazine That Defines It – The Mr. Magazine™ Interview With Michael Kusek, Publisher & Lauren Clark, Editor – Take Magazine. A Mr. Magazine™ Launch Story. Imagine starting a luxury design magazine from scratch when you’re surrounded by some of the greats that have been around for decades. It’s a daunting task. But not so much when you have someone with a fiery passion and that will-to-succeed nature that drives them forward and propels the brand toward the future. 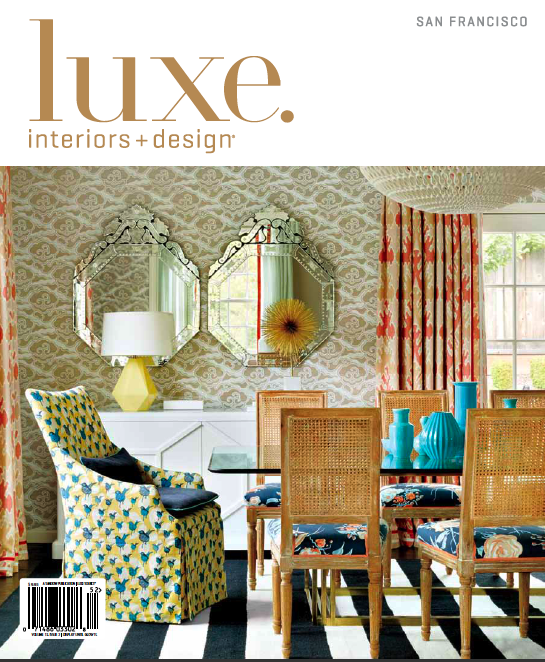 Luxe Interiors + Design is the name of the magazine and Pamela Jaccarino is its Editor-In-Chief. Pam has been with Luxe since the very beginning and is as passionate today as she was ten years ago when the brand was born. Celebrating 10 years of publishing, Luxe and Pam are certainly not resting on their laurels; not at all. The brand and its leader are pushing forward, with an eye on tomorrow and always looking for what could be new and improved about the already highly successful brand. I spoke with Pam recently and it was a lively, energetic conversation, much like the woman herself. We discussed the regional start of Luxe and how doing things a bit differently from some of the other, more established brands, really paid off for the newer, lesser-known magazine. And we talked about the beauty of launching a new magazine in a very crowded field and the reasons it survived where others did not. So, I hope you enjoy this Mr. Magazine™ conversation with a woman who has tapped into her own creativity to help establish a brand of luxury design that can hold its own with the big boys. 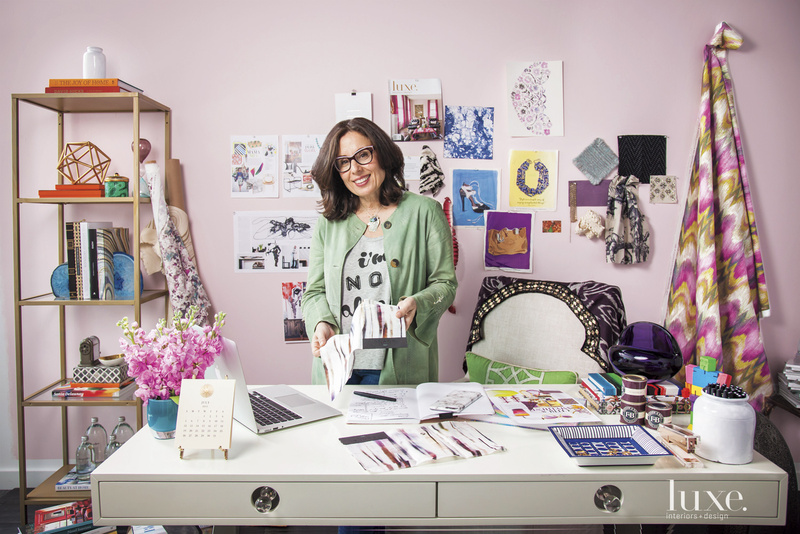 Mr. Magazine™ talks to Pamela Jaccarino, Editor-In-Chief, Luxe magazine. On what Luxe is doing right when it comes to its numbers; up 25% in advertising and almost 4% in circulation: We started this magazine 10 years ago as a quarterly magazine and over those last 10 years we’ve really built the brand. Ten years ago, we were an unknown entity within the design world; since then we have grown the business by creating magazines regionally that spoke to the regional market, in terms of architecture and design. We always had this intention of growing this brand to be a national magazine brand and we’ve achieved that 10 years later. On why Luxe is unique from the rest of the shelter market: We are a very unique brand within the shelter market. And the reason for that is we’ve approached the design world a little bit differently. And typically with design magazines, you have national shelter magazines and you have a few regional shelter magazines. We made the decision to cover both local and national design. 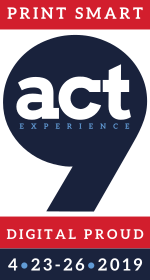 Our whole premise and philosophy is to really speak to the engaged design aficionado in the market where they live and we also cover what’s happening with national design trends. On why she thinks there’s a deep interest in print, from both designers and readers, that still exists in today’s digital age: I believe that when you’re covering luxury, which is what we do; we absolutely cover luxury; you can call us elitist… (Laughs) but we’re covering luxury design; we go to a high-end leader who is engaged in luxury design. And when you’re engaged in luxury, I think that you want things that are tactile. Are people engaged in design digitally? Absolutely – 100%. But we firmly believe that when you’re putting out a luxury magazine, these designers really feel valued having their work in print. It means a lot to them. On how the national book is different from the regional books: That’s a great question. What is our national edition? Obviously, we have grown this brand region by region. The national edition serves any market that we don’t serve regionally. 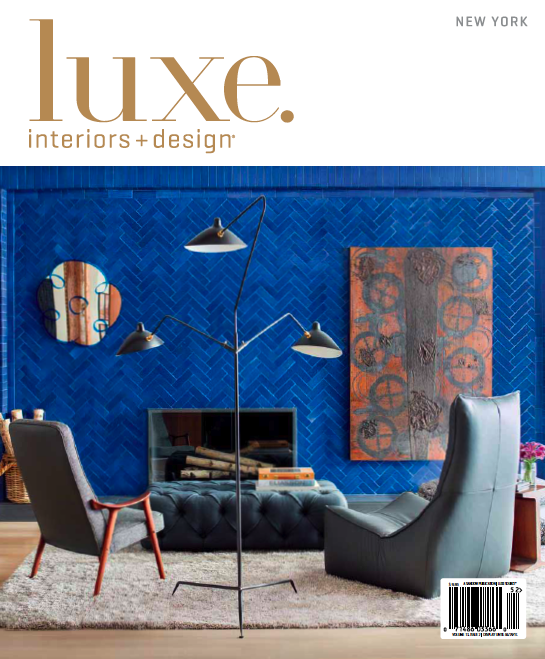 So, for example, if I’m living in the Bay area and I want to subscribe to Luxe Interiors + Design because I love the magazine and there’s not a Luxe San Francisco; what issue am I going to get? So, we created what we call the National Book. And the National Book serves any region in the country where we do not have a dedicated book. On how her role as editor-in-chief has changed over the last 10 years: I think an editor-in-chief has to do much more than simply work on the magazine. You do need to be consumed with the brand as a whole and in making sure that everything is holistic from A to Z, and that includes events that are done; your digital entity and all of your social media. So, I think the editor-in-chief’s role has gone from a somewhat narrower focus to having to oversee a much broader operation. On why the magazine began in Colorado:The company was started in South Florida, not exactly the publishing capital of the world, (Laughs) although I am a New Yorker. And we started the magazine in Colorado, because a lot of the homes that we were covering were these incredible second-homes; it’s a great second-home market. On whether any of her paintings have been featured in the magazine: I was an art major when I was younger and gave it up for journalism. And I’ve just started repainting again this year, really and truly because I’m completely inspired by all of these creative people that I’m surrounded by; all of the designers and architects. On the major stumbling block that she’s had to face and how she overcame it: We had a lot of the regional markets up and doing very well and then it was time to look at the national trends and as I said, I love to fly under the radar, but we were sort of an unknown entity. We would go into market and, for example, we launched in New York about three or four years ago, and nobody knew who we were. I think it’s very easy for an editor-in-chief to step in for a magazine that’s established and has been around for 20 or so years, but it’s very difficult to launch a magazine and have it be this successful in such a short period of time. On anything else she’d like to add: In the day and age of “print is dead” we really feel that there’s still a place for print. I work with a group of very young editors who still love print and who still value print. On what keeps her up at night: You know something; nothing keeps me up at night. I sleep like a baby at night. And honestly, I have to work so hard during the daytime and be so focused, that for me, it’s like when you plug your phone in at night to recharge your battery; I go to bed and fall right asleep and it’s like I’m recharging my battery. And now the lightly edited transcript of the Mr. Magazine™ conversation with Pamela Jaccarino, Editor-In-Chief, Luxe magazine. Samir Husni: You’re celebrating the 10th anniversary of Luxe and while a lot of other magazines are cutting their frequency or their circulation, your magazine is up 25% in terms of advertising and up almost 4% in circulation over last year. What are you doing so right that some are doing so wrong? Pamela Jaccarino: We started this magazine 10 years ago as a quarterly magazine and over those last 10 years we’ve really built the brand. Ten years ago, we were an unknown entity within the design world; since then we have grown the business by creating magazines regionally that spoke to the regional market, in terms of architecture and design. We always had this intention of growing this brand to be a national magazine brand and we’ve achieved that 10 years later. When we approached our 10 year anniversary we still wanted to grow the business on the business side. And our reader is very engaged and quite frankly, it was sort of difficult to report on what’s happening in the world of luxury design when you’re moving quarterly. It’s much slower in terms of the pacing and how you can tell stories. Samir Husni: (Laughs too) Why do you think you’re bucking the trends? As I mentioned earlier, other magazines are cutting their frequency; other magazines are down in terms of advertising and circulation. Why do you think you’re different from the rest of the shelter market? Pamela Jaccarino: Why are we different – that’s a great question. We are a very unique brand within the shelter market. And the reason for that is we’ve approached the design world a little bit differently. And typically with design magazines, you have national shelter magazines and you have a few regional shelter magazines. We made the decision to cover both local and national design. Our whole premise and philosophy is to really speak to the engaged design aficionado in the market where they live and we also cover what’s happening with national design trends. We get very hyperlocal and what we report on; let’s say in our Miami book or in our New York or Chicago book, is pertinent to the area. The consumer wants to be inspired and they also want to know who the best designers and architects are right there in their region. It’s interesting when you look at design; there are a lot of elements that translate across the board nationally. But when you’re designing or building a home in say, San Francisco versus one in Colorado, there are so many different elements that go into it. The topography is different, the landscape is different; what you’re doing in those homes also might be different, one might be a vacation home. So, you really want to hire someone, for the most part, who is a local architect, a local builder and a local designer. And that’s our point of differentiation. We believe that home is your greatest luxury and we want to inspire our readers and direct them to incredible national design resources and brands, furniture and everything to fill their home. But when it comes time to design a room or to add something on or build a home, they’re probably going to be using a local design professional. And that’s sort of our differential. In the editorial well, for example, we’re only talking about local projects; that’s what we feature. In Chicago, we’re going to be featuring the best work done by local designers, architects and builders. And that changes from region to region. In the front of the book, of course, we’re covering everything that’s happening on the national design trends. And the biggest difference is that if you pick up Elle Décor or say, House Beautiful; they’re really focused on national design as a whole. And we take a little bit of a different philosophy. Yes, you can get your inspiration anywhere, and we certainly provide a lot of inspiration to our readers, of course, but we really want to give voice to all of the great talent out there. There are so many incredible architects and designers working in this industry who really don’t have a way to get their work published in print. And we value that, and they value that. That’s something that Luxe provides. We really dig deeply and are very entrenched in the design industry in these markets. I have editors across the country that work with the best architectural photographers and some of the best design editors in the country. And the fact is we publish more work than any other national design magazine out there. And, as I said; we’re very entrenched in the industry that we love. Samir Husni: Why do you think an interest in print, both from the designers and the readers, still exists in our digital age? Pamela Jaccarino: I believe that when you’re covering luxury, which is what we do; we absolutely cover luxury; you can call us elitist… (Laughs) but we’re covering luxury design; we go to a high-end leader who is engaged in luxury design. And when you’re engaged in luxury, I think that you want things that are tactile. I believe firmly that when you’re engaged in things that relate to design: fabric, furniture, wallpaper and architecture; you want to touch these things; you want to sit on these things. Are people engaged in design digitally? Absolutely – 100%. But we firmly believe that when you’re putting out a luxury magazine, these designers really feel valued having their work in print. It means a lot to them. We spend a tremendous amount of money on production values and I think that’s also what sets us apart, by the way. We’re very fortunate to work for a private company run by Adam Sandow; he believes in investing back into his product. That’s what we’re tasked with creating. So, we spend a lot of money in hiring stylists and in architectural photographers and quite frankly my responsibility is really to the design professional who is entrusting us to tell the story about this home that they have created and that they have put a lot of love, time and energy into, when putting together their wonderful creative design team that we’re writing about. Usually it’s the architect, the interior designer and the builder. And I really take that responsibility very seriously in terms of ensuring that the presentation of their creative work to our reader is executed at a very high level. So, we obsess over things like paper stock or the angle of a home, a landscape, and how is everything going to look in our pages. My team and I put a lot of love, time and energy into those features. Samir Husni: How is the national edition going to be different than the regionals? Pamela Jaccarino: That’s a great question. What is our national edition? Obviously, we have grown this brand region by region. 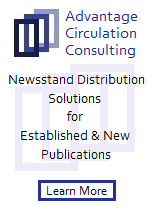 The national edition serves any market that we don’t serve regionally. 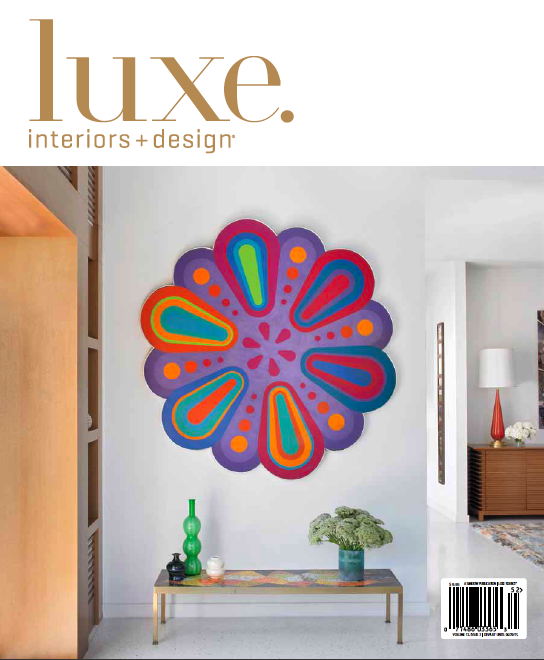 So, for example, if I’m living in the Bay area and I want to subscribe to Luxe Interiors + Design because I love the magazine and there’s not a Luxe San Francisco; what issue am I going to get? So, we created what we call the National Book. And the National Book serves any region in the country where we do not have a dedicated book. Incidentally, we had such great demand from San Francisco for our book; they fell in love with our book that we did decide to create a Luxe San Francisco. We have an editor there that oversees making sure that we get great projects in it and superb photographs and that they’re well-written. We also have a team that works on the national trends, which is shared content that runs across the board for every book that we produce. 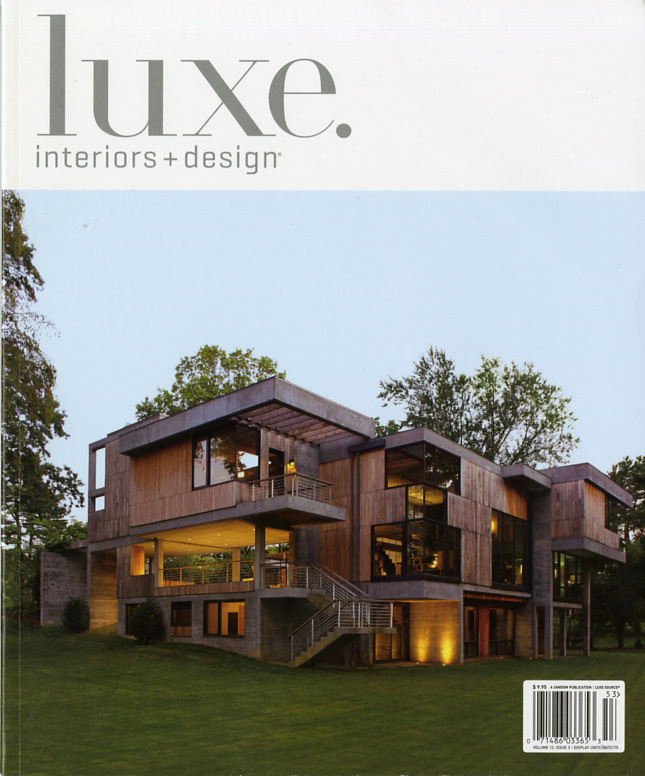 Samir Husni: You’ve been with Luxe since its very beginning; you’re the founding editor of the magazine. How has your job as an editor changed over the last decade? The editor before digital and now the editor after digital; how has your role changed with the innovations? Pamela Jaccarino: I have a very deep belief in terms of the editor-in-chief’s role and obviously I have quite a large team; I have 20 people. I think an editor-in-chief has to do much more than simply work on the magazine. You do need to be consumed with the brand as a whole and in making sure that everything is holistic from A to Z, and that includes events that are done; your digital entity and all of your social media. So, I think the editor-in-chief’s role has gone from a somewhat narrower focus to having to oversee a much broader operation. So, in terms of me personally; we started as a very small start-up and we didn’t have a big team; I had to work on every single facet that an editor-in-chief would have to do. And as the company and the brand have grown, a lot of my job is to make sure that we have the very best team that we can. I have the most amazing creative team in the industry. We very much collaborate and my job is to inspire and motivate them and make sure that everything, from the magazine to the site to social media and everything that we do in terms of our big signature events, really speaks to what the brand is about, which is luxury, home and design. We also have a responsibility to serve our very tight community of designers. And even though we’re absolutely a consumer magazine, the design community is very important to us. It’s what we’re reporting on. And that has been something that has grown every time we open into another market. It’s very important that we get to know the designers; that’s a very important part of what I do. As editor-in-chief, I’m sort of a maestro leader; I’m ensuring that all the pages look great and that we put out a brand that people are very engaged with and that we continue to do that. We recently did a big redesign of the magazine and I really enjoyed doing it, but it was something that took a lot of time, but it was a labor of love. Again, what was on my mind was: how is the reader going to respond to this? And then taking what we’d done over the last few years and ensuring that the quality was even greater. I think that’s what print magazines have to do these days; you have to provide a publication that people are going to want to hold onto. We’ve always taken the philosophy that the book should be evergreen. We do report on national trends and that’s something that’s been a bit tricky as we’ve gone from being a quarterly book to a book that comes out six times per year. How do you maintain covering what’s happening in design, while also putting out a publication that people are going to want to hold onto and dog-ear the pages? I think people do still dog-ear pages. Samir Husni: You mentioned being evergreen; why start in Colorado? If you can recall; why was Colorado chosen as the beginning point for the magazine? Pamela Jaccarino: The company was started in South Florida, not exactly the publishing capital of the world, (Laughs) although I am a New Yorker. And we started the magazine in Colorado, because a lot of the homes that we were covering were these incredible second-homes; it’s a great second-home market. The topography and the landscape are beautiful. It’s inspiring and honestly; when we started, we found the magic team. We found a publisher out there who really had a passion for this and that was something that really fueled us as we were a very small group working on tight deadlines, with limited resources. We needed to find what we call a “Sandow” person. There are people that have been working for the company for a very long period of time; I’m one of them, and there’s a bit of a magic formula, but you have to have someone who is really passionate about what they’re doing and is ready to work hard and really cares about the quality of what we’re doing. I look for that in everyone I hire. It’s someone who thinks about the reader and the industry that we’re serving. So, Colorado just sort of clicked, even though I know it’s sort of an uncharacteristic place to launch a magazine. But I love the fact that we run a little bit counter to what the industry is doing. I think that’s also something that’s embedded in the culture here and it’s embedded into our amazing visionary CEO, Adam Sandow. It’s not always the best thing to be looking at what everyone else is doing. Why don’t you do things a little bit differently and maybe put a different spin on things? And that’s the way that we’ve always operated and quite frankly, I like that. I like to do things the breakthrough way, rather than following along with the trends. Samir Husni: What makes you click and tick and motivates you to get out of bed each morning and say it’s going to be a great day? That wakes me up and gets me out of bed. Plus, I love to tackle a project and I love to try and solve problems. I also absolutely love to go on photo shoots. I have an amazing job and I’m very grateful for what I get to do every day. I’m a creative person; I’m an artist; I paint and draw. I find an incredible amount of inspiration from going out to the Hamptons and scouting a beautiful house with a designer and having them tell me the story of the homeowner and why they bought this or that piece of art and how they came up with the color scheme for a certain room, and then working with our photography editor or our photography director to map out a photo shoot. I think that editors-in chiefs also need to be businesspeople; I love business. I always have loved business. There are just so many facets in what I get to do every day. There’s the creative part; the collaborative part, and there’s the business part. And I love the company that I work for. I have a tremendous amount of respect for Adam Sandow and for the leadership that he’s put together in this company. I’m happy every day that I wake up. Samir Husni: Have any of your paintings been featured in the magazine? Samir Husni: You mentioned that you love tackling problems and trying to creatively solve them; what has been a major stumbling block in your career that you’ve had to face and how did you overcome it? But I would say probably about five years ago. We had a lot of the regional markets up and doing very well and then it was time to look at the national trends and as I said, I love to fly under the radar, but we were sort of an unknown entity. We would go into market and, for example, we launched in New York about three or four years ago, and nobody knew who we were. I think it’s very easy for an editor-in-chief to step in for a magazine that’s established and has been around for 20 or so years, but it’s very difficult to launch a magazine and have it be this successful in such a short period of time. So, that was a big challenge and stumbling block and something that I had to overcome. I didn’t come from the design industry; I worked in the luxury goods industry. And that was tough for us as a brand and tough for me as an editor-in-chief to establish this unknown entity in New York and among many of the national brands that were already established. 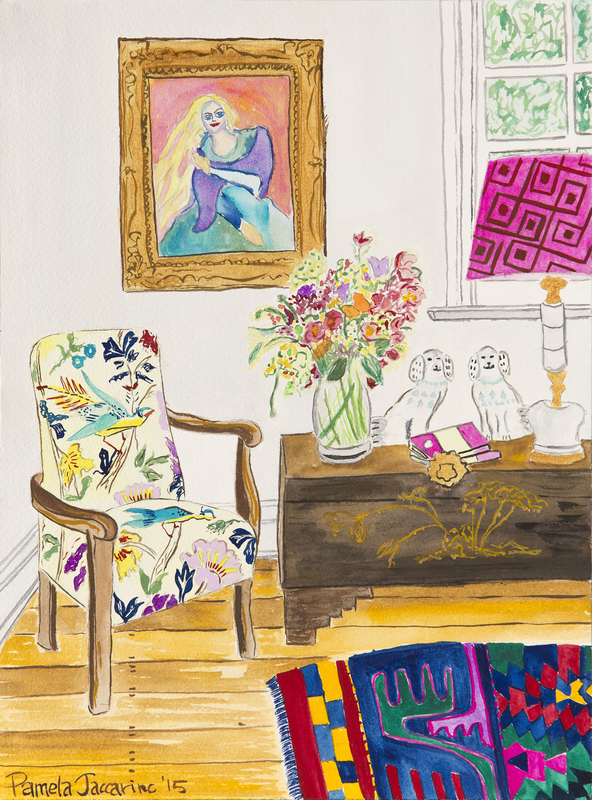 House Beautiful is 100-and-something-years-old; Arch Digest has been around for a long time. These other competitive-set magazines have been around for a very long time and are household names. That was something that was a big challenge for us. Samir Husni: How were you able to overcome that challenge? Pamela Jaccarino: I immersed myself in the industry. You have to take an interest; you really have to take an interest in what you’re reporting on. And I did. I got to know a lot of designers and they became friends and I had dinners and cocktail parties. I just got out there and asked questions and I hired smart people. We just got on with it. And I’m a very curious person by nature; I love to tell stories; I love to hear what people are doing. And then it just became my job to interpret what people were doing and I had a great team who could also interpret it. I understood quality and I asked a lot of questions. I would show people what we were doing and I would say: please don’t tell me that you like what we’re doing; tell me what we could be doing better. Tell me how we can improve. And I think that that was something that helped me learn a lot. I never liked it when people would say: I love what you’re doing. I’d say, really? Tell me something that we could do a little differently. It’s just little things like that you do and having a great team always helps. And I continue to do that every day, by the way. I don’t believe in any editor-in-chief thinking that things could be easy. It’s just not my philosophy. I like to think that there’s always something we can focus on and improve. Samir Husni: Anything else that you’d like to add? Pamela Jaccarino: In the day and age of “print is dead” we really feel that there’s still a place for print. I work with a group of very young editors who still love print and who still value print. 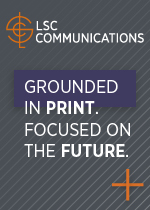 We still believe that if you create something that is well done and artfully put together and you produce it with good, high-quality, there is still a place for print. Print is not dead exclamation point. Pamela Jaccarino: You know something; nothing keeps me up at night. I sleep like a baby at night. And honestly, I have to work so hard during the daytime and be so focused, that for me, it’s like when you plug your phone in at night to recharge your battery; I go to bed and fall right asleep and it’s like I’m recharging my battery. I always say, this is the best part of my day; I get to recharge my battery and start fresh in the morning. I just really don’t have any trouble sleeping at night.